Spring is on our doorstep; time to gear up for hiking, biking, golfing and tennis in the High Country. 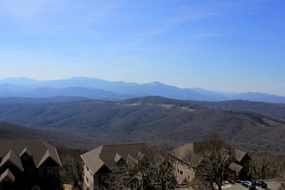 We’ll provide you with the local knowledge you need to make your next Sugar Mountain getaway a blast. 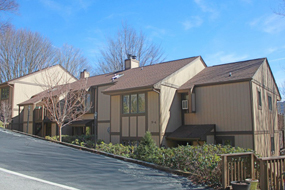 Let’s start with nearby Grandfather Mountain. 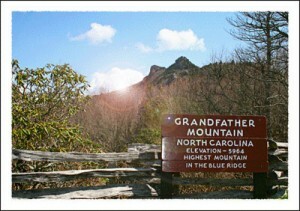 Hike for free at Grandfather Mountain State Park. One of those trail heads is located just 5 minutes from Sugar Mountain on Hwy 105. It’s called the Grandfather Profile Trail. You can register (for safety reasons) before you head up the mountain. For details, www.grandfather.com. While online, download a trail map. 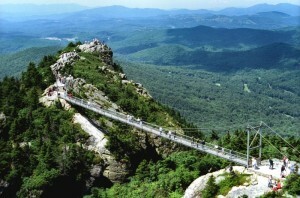 Or visit the Grandfather Mountain travel attraction, which includes the famous now fixed swinging bridge, museum and nature park. You can access Grandfather’s back country trails from the Swinging Bridge area, which is included in the price of admission to the attraction. 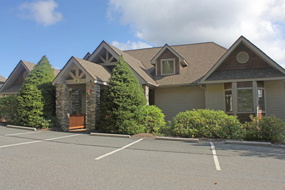 After all that hiking, relax with a glass of wine and enjoy the music at nearby Grandfather Vineyard and Winery or the Banner Elk Winery. 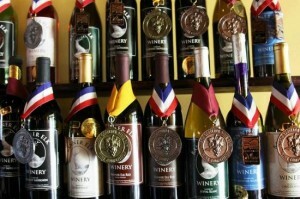 Also worth exploring is Linville Falls Winery, which enjoys a 4.5 rating on Trip Advisor. 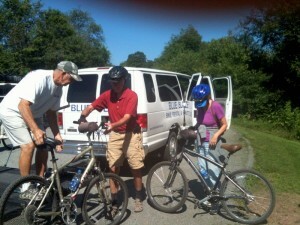 Another High Country “must” is biking the Virginia Creeper Trail, just 40 minutes drive from Sugar in Damascus, Va. Rent a bike or bring your own. Enjoy the 18 mile “downhill” run from the top of Whitetop Mountain to downtown Damascus, with a stop at the famous Creeper Trail Cafe for lunch. The trail is maintained along a former railroad bed and across dozens of high trestle bridges. Riding is easy (if you can handle a hand brake, you’re good to go! ), the trail well groomed and rich in beauty and regional history. Visit www.vacreepertrail.com, make reservations with one of the bike shops and let them transport you up to the mountain top for a glorious day. The Creeper Trail is open year around, but save this attraction for a beautiful sunny day. 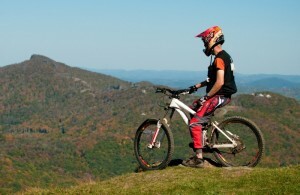 Hiking and biking trails in Banner Elk and on Sugar Mountain open officially this month. You’ll love the new improvements on Sugar in particular. These trails are maintained and also free. We have trail maps in our office to provide suggestions. 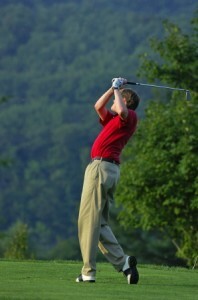 The Sugar Mountain Golf Course is open and what a deal! Play 18 holes, including greens fees and cart, for a song. Sugar’s tennis courts will be groomed and ready in April as well. Spring is a wonderful time to explore the High Country. 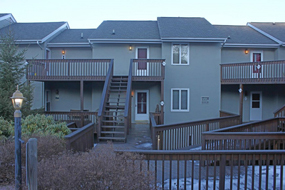 We have special shoulder season savings on our Sugar Mountain homes and condos. Call our talented reservation team for all the details.